Kevin Jimenez submitted this photo and caption. 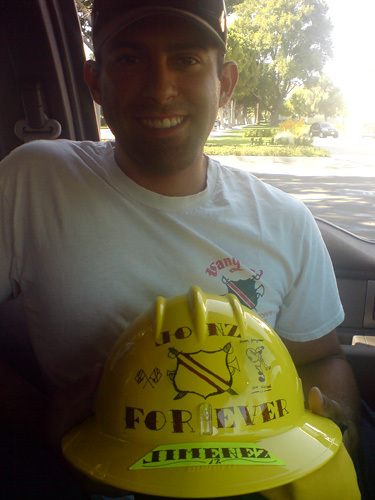 I am a Wildland Firefighter for fire crew 77, and this is my firefighting helmet. As you can see I have made a little addition to show my support to my brothers and sisters this summer just before I got called out to fight a fire. I marched as Bass 4 for the Santa Clara Vanguard in 2007 and aged out in '08.